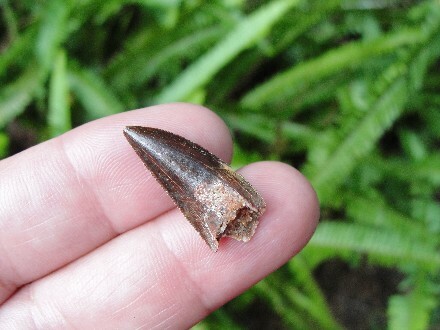 This is a classic Fossil Dinosaur Raptor Dromaeosaur Tooth from the Tegana Formation of Morocco. 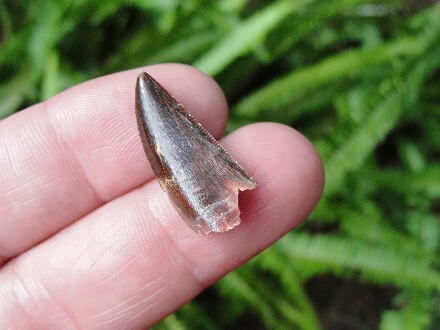 Nice complete Raptor Dinosaur Fossil Tooth, with great patina and color. 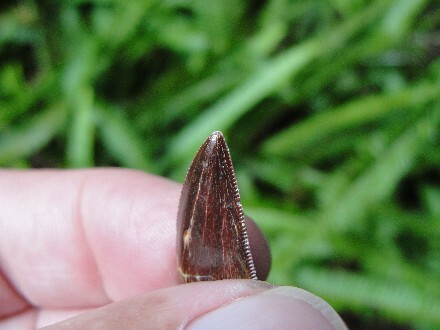 Raptor material is not common to find. 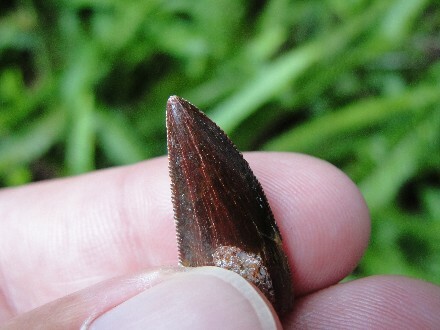 The tooth is in good shape and is a nice size. 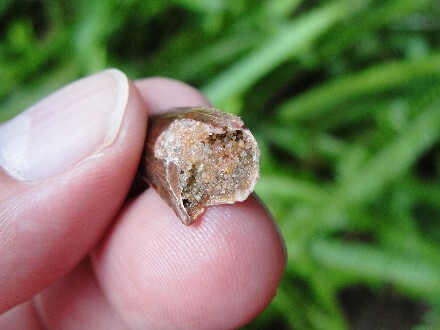 It has a small amount enamel flaking on one side and a slight amount of serration chipping. 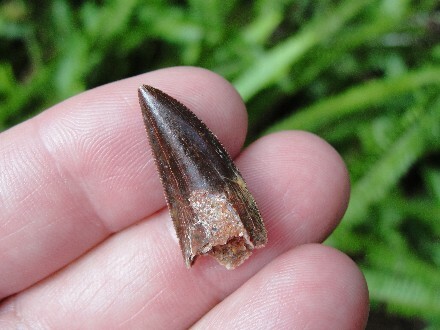 This Fossil Tooth of a Raptor is from the bird-like Theropod Dromaeosaur. Some Dromaeosuars are feathered, and it maybe that all are. They usually are a pack hunting predator. 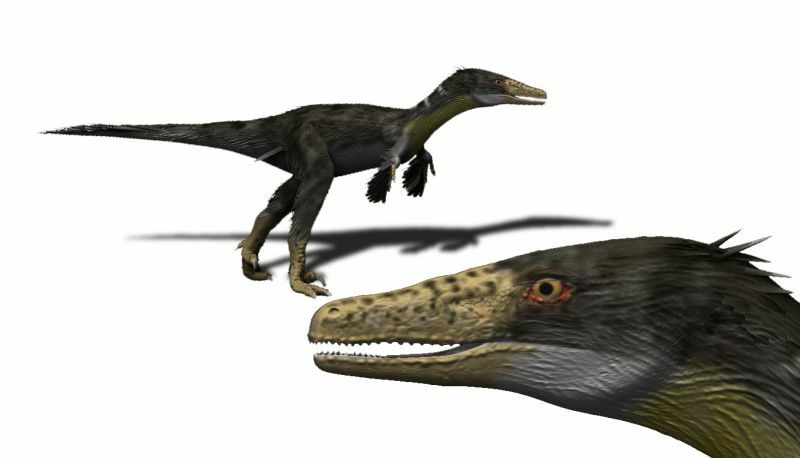 Dromaeosauridae means "running lizards'. Actual Specimen Pictured & Guaranteed Authentic. 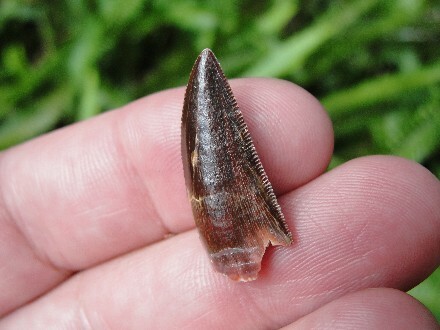 This is a Real Raptor Fossil Tooth from the Northern Sahara Desert.